The best location & best view in Granada. Comfortable beds. Parking possible in the front street. Good kitchenets. Quiet at night (in April). 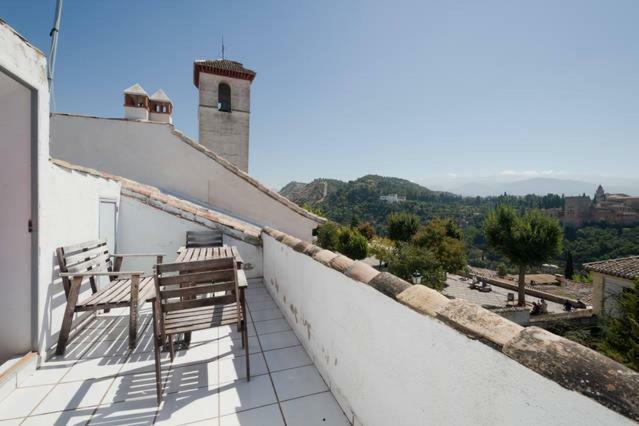 The location, overlooking the Mirador de San Nicolas, is one of the most beautiful in the whole city : the view of Alhambra through the windows and from the roof terrace is a photographer's dream. 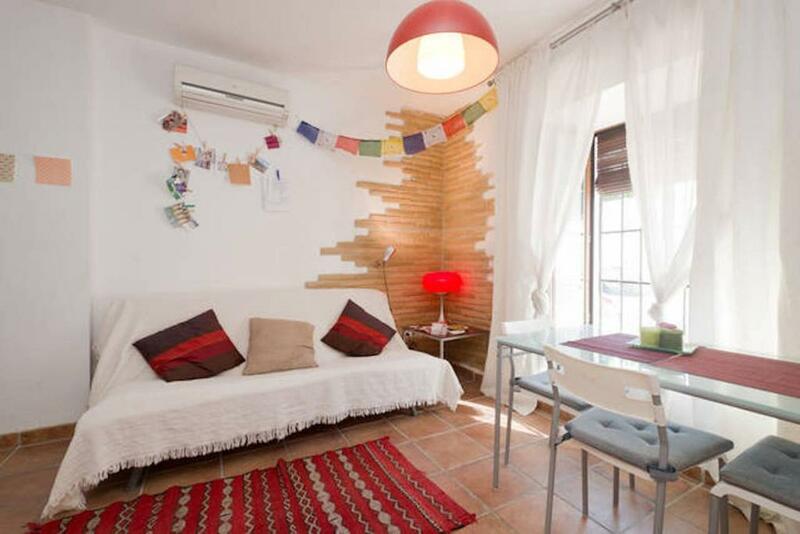 And you are right in the center of the most atmostpheric neighborhood of Granada, the Albaicin! La ubicación del apartamento es espectacular. Las vistas de la terraza son preciosas y la habitación de matrimonio también fue muy cómoda. La ubicación del apartamento, las vistas y que el apartamento estaba muy bien equipado de todo. Fantastisch mooi uitzicht op het Alhambra. Lekker dakterras. Comfortabele inricht. Granada is een heerlijke stad. Increíble el lugar, en pleno mirador de San Nicolás. Llegando a las horas establecidas es fácil llegar hasta la puerta y aparcar muy cerca. Sin lugar a dudas es muy recomendable. Apartamento muy cómodo muy bien situado ideal para ir con familia. Si, lo mejor la localización y el precio, super barato para lo que es. La ubicación fue lo que más nos gustó. Con la Alhambra enfrente y el buen ambiente que se respira en el Mirador de San Nicolas lo hacen mágico. Además el apartamento tiene un terraza con unas vistas increibles. Si volvemos a Granada nos encantaría volver a reservarlo. 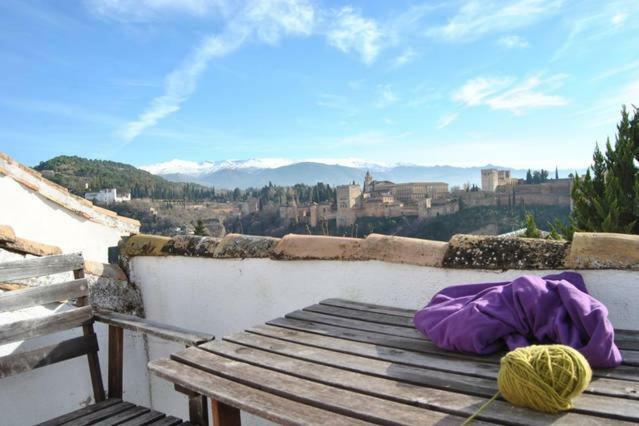 Lock in a great price for Apartment Albayzin, View to Alhambra – rated 8.8 by recent guests! 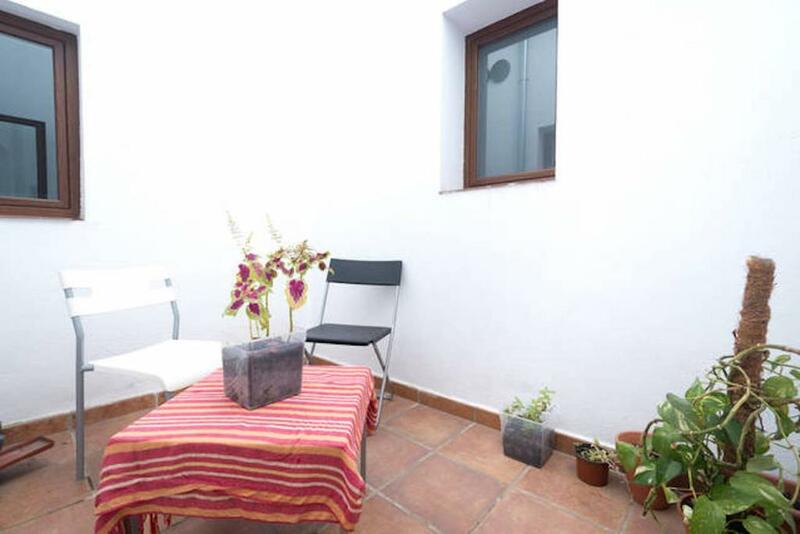 Located in Granada, near Paseo de los Tristes and Granada Cathedral, Apartment Albayzin, View to Alhambra features free WiFi, and guests can enjoy a terrace. Featuring a living room with a sofa bed, as well as a fully equipped kitchen, each unit has a private bathroom with bath or shower. A microwave and coffee machine are also provided. San Juan de Dios Museum is 1.2 miles from the apartment, while Basilica de San Juan de Dios is 1.3 miles from the property. Federico Garcia Lorca Granada-Jaen Airport is 14 miles away. 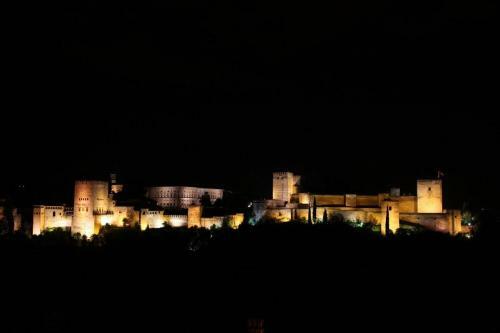 When would you like to stay at Apartment Albayzin, View to Alhambra? This apartment has air conditioning, private entrance and DVD player. This apartment features a electric kettle, CD player and microwave. Typical pintoresque cobblestone street in the upper Albayzin, 5 steps away from the Viewpoint Mirador San Nicolás from where you can see the Alhambra in all its beauty. 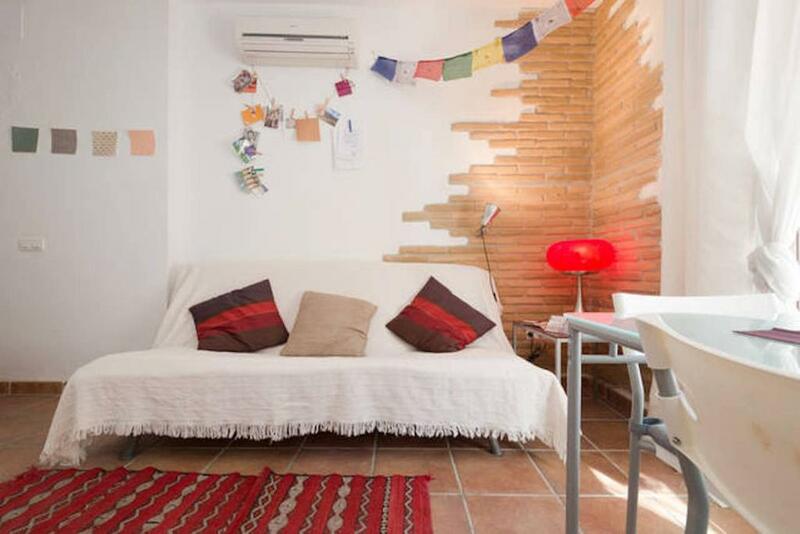 Our apartment is 75 square meters and offers accommodation in 2 little cozy rooms and a double-sofa bed in the living room. 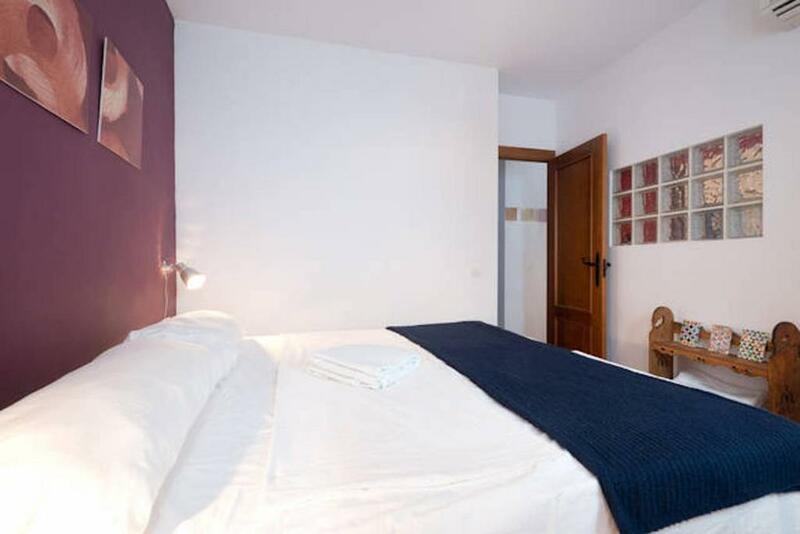 The The kitchen is fully equipped, bathroom, washing machine, hairdryer, shower and toilet. Towels and sheets are included. We are a young couple who came to Granada in 2014 and fell inmediately in love with this incredible, glowing city! We like exploring the surroundings of Granada, the mountains, the overwhelming Sierra Nevada which is all covered with snow in winter and the Alpujarras with its delicious food and its inspiring places, and of course the sea with its clear and absolutely refreshing salty water. We love hiking and rock climbing and Granada is just the perfect place to do that, it offers uncountable opportunities to spend days, weekends or even weeks in nature and in many places you can combine several activities like skiing, swimming, windsurfing in lakes, hiking, climbing or whatever you feel like. The Mirador San Nicolás is one of the most wonderful places in the city. Live Flamenco all day, a mixture of people from Granada, the Albayzin and foreigners, pintoresque cobblestone streets and a typical architecture are the ingredients for a magic atmosphere. Enjoying the view to the Alhambra in the morning with a warm coffee, drinking fresh water from the fountain and having breakfast at Plaza Larga where a colourful collection of people start their day getting fruits, vegetables and fresh fish at the little local market is what we love about our neighborhood. Strolling around the Albayzin is an experience by itself and its closeness to the Sacromonte, up the hill, and the Paseo de los tristes where the river is (down the hill) makes it a perfect place to start your tours from. House Rules Apartment Albayzin, View to Alhambra takes special requests – add in the next step! Please inform Apartment Albayzin, View to Alhambra of your expected arrival time in advance. You can use the Special Requests box when booking, or contact the property directly using the contact details in your confirmation.